Hey mama! 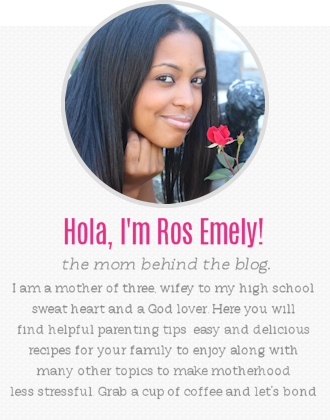 Are you pregnant and looking for tips to not lose yourself after having a baby? Or maybe you just gave birth and are thrown full force into life with a newborn. 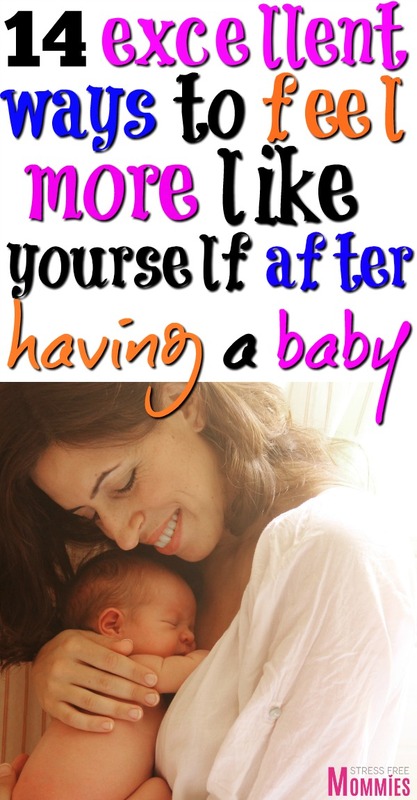 You want tips, you need answers and you need life changing ways on how to feel more like yourself after having a baby. I get it, girl! do I get it! When you get home from the hospital with your newborn it can be scary. I mean you actually have to take care of your baby without the help of the wonderful nurses at the hospital. You and your partner are trying to adjust to this new life as parents. You are sleep deprived, baby isn’t latching on, you’re trying to warm up his bottle during the middle of the night and you are just plain TIRED and EXHAUSTED. Life as a new mom is not as easy as they make it seem in the movies. You probably have noticed that you’re not yourself. Something has changed and it’s you! I was also sucked into losing myself in motherhood because I didn’t know what to do to help me. I didn’t know the quick and small changes I needed to make in order to be and feel like myself again after having a baby. I’m here to tell you mama, that you don’t have to lose yourself after giving birth and becoming a mom. You can thrive as a new mom or mom of three. It’s the small changes that you make that is going to make the biggest impact on your life for the better! These are the ways you can feel more like yourself after having a baby. One of the best ways for you to feel more like yourself again after having a baby is to take care of your body. Whether you gave birth vaginally or via c-section, it’s important for you to know what are the things you need to do for a faster and healthy postpartum healing. Even though it’s super hard for you to care for yourself postpartum when you’re too busy taking care of a newborn. Believe and trust me when I say, it is crucial! It’s important as a new mom to understand when you’re on the verge of being overwhelmed, tired and not emotional here. Ask for help if you need it. Accept help if it’s being offered and talk to your partner about your feelings. You are not alone! Do you know that many women experience baby blues? It’s normal to feel mood swings after giving birth but be careful to confuse them with postpartum depression. If you’re feeling extra emotional, angry, unhealthy thoughts among other unusual feelings, please contact your doctor immediately. As this can be signs of postpartum depression. Finding help through books or blogs is another great way for you to not lose who you were before having a baby. 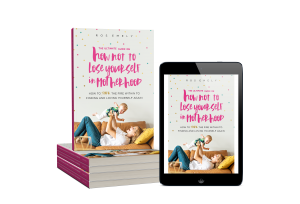 The ebook “How Not To Lose Yourself In Motherhood” helps moms to thrive as a mother. It is a powerful guide that is going to help you not lose yourself after having a baby. If you want to learn the steps to take for living a happier, more fulfilled and less stressed life as mother. You need this ebook! It’s an easy, fun and relatable book for moms. You can read it on your phone, tablet or computer with an easy click! It will literally transform your life and help you not lose track of who you are and where you want to be as a person! Becoming a new mom is hard and it’s not easy to adjust to life with a newborn. I mean it is a blessing and an amazing time in your life, but boy can you lose who you once were in the mix. That’s why it’s important to find help, to learn and read how you can prevent not losing your identity as a mother and how you can really rock this mom life by taking control of you! Buy the ebook here! Believe it or not taking a bath everyday can help you feel energized and so much better. Not only will you feel alive, you’re going to be refreshed and excited about your day. After the birth of all three of my children, I would always take a nice bath everyday. It helped me extremely in feeling like myself again. You can try taking a sitz bath that it’s beneficial in healing from childbirth! Along with taking a bath everyday, putting on some makeup can also help with your mood. It can help you look put together for when visitors come over to visit and it also helps you to be more productive. Yes! I know this may be the last thing on your mind. But, take it from a mama of three who has been there! Put on light makeup, wear nice clothes (maxi dress, leggings with a cute shirt) and feel good and more like yourself again! Yeah yeah, I know getting a good night sleep is impossible when you have a newborn at home. But, taking naps is not impossible at all. Yes, you may want to get a few things done around the the house, but it’s okay if one of those days you decide to take a nap instead. Ask your partner to care for the baby while you take a 30 minute power nap. Ask family and friends if you have to, to stay with the baby while you take a nap. My family would always advice me to rest while I could. They were always so happy to stay and help with my babies, while I took a nap. Get your rest mama! It is going to change your mood for the better and I promise you’ll be extremely grateful for it! Listen, listening to music is great in so many ways. I mean, it’s definitely a mood changer for sure! Listen to music while you’re feeding your baby, while you’re cleaning or cooking. Do not let go of the few things that made you happy before having a baby. Small things like listening to music, can make a huge impact in how you feel about yourself, about the day that you’re having and your emotional well being. Do you feel sad and not yourself after giving birth? Talking to your close family and friends is going to help you feel better. You are not going to feel alone at all. Talk to your mom friends about what you’re going through, I’m sure they are going to have great advice! 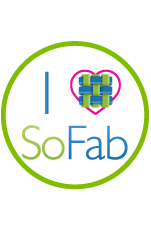 Feeling like yourself postpartum does not have to be difficult at all. You need to do things that makes you, you! Talk with those that will put a smile on your face, those who love you and want to help you on this beautiful motherhood journey. Crazy to think that you may want visitors over your house while you’re trying to recover from childbirth. I know girl! But, having family and friends over is such a life saver. If your family and friends call to ask if they can come over, do not say no. Even if you feel like you’re not in the mood for visitors, once they are there, you’re going to be thankful. You can talk about old times, have fun, listen to music, share your birth story and life as a new mom. Good family and friends can be the medicine you need to feel more like yourself after birth. It’s important for you to not neglect your relationship. First of all, let me just say that your relationship will be tested during this time. Why? well because you are both trying to adjust to being new parents, you’re both sleep deprived (you more than him) and it’s not easy dealing with all these emotions. One way for you to help your relationship remain solid, happy and stress free is to go on date nights. You do not need to go every Friday, but make sure you do take time to nurture it. I am a huge believer in asking for help if you need it. Or even if you think you don’t, it’s always better to have more hands than just two. Right? Having people help you with food, cleaning your house, feeding your baby and more, it’s a blessing! Take it and run with it girl! The less stressed and tired you are, the better you are going to feel! If you eat good you feel good! When you’re trying to recover from childbirth, it’s always good to have a healthy well balanced diet. Eating more fruits and vegetables, food rich in fiber, lean meats and whole grains is what you need. These type of foods is going to give you more energy and help you lose the baby weight as well! Another excellent way for you to feel more like yourself after having a baby is to know your triggers. Write down what are the things that you do or don’t do that is making you feel more tired, more overwhelmed and less happy. Catching it before it gets worst is going to help you understand and make the changes that you need in order to help you have an easier day with baby. Take it one day at a time mama. There’s no manual on motherhood and there’s no list that you need to follow in order to get into the perfect moms club. Every mom goes through this stage of identity crisis after giving birth and having a baby. It’s a huge change in your life! Just know and this comes from the bottom of my heart, that you are enough. That you are doing an amazing job and that you are rocking this mom life. Things are not always going to be easy, but as long as you follow your heart and instinct, you are good! Feeling like yourself after having a baby is something that many moms desire but struggle with. Even myself! It’s not always easy to feel happy when you’re sleep deprived and super tired. I know, I’ve been there twice and one was with twins! All I am saying to you is that small adjustments is what is going to impact you the most in a positive way. Like taking a bath, putting makeup on and getting dressed for the day. Listening to music will always put you in a good mood. Talking with family and friends will remind you that you are not alone. Going on date nights is such a sweet break from your everyday mommy life. Remember mama, that you are amazing, that you are trying to adjust to this new normal and you are going to strive as a mom. Take it one day at a time and savor every moment. 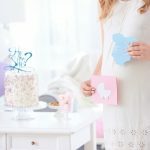 These are the tips that are going to help you feel more like yourself after having a baby! Yessss! This is such a great list! I especially love #5 because that was a big one to help me feel normal. And #13 and #14 are also super great suggestions! Yes girl putting on makeup was also important in helping me feel like myself again! Knowing your triggers and taking it one day at a day is something we should know and do. Our days will go by easier and less stressful.